Beyond Belief views modern art through a spiritual lens – J. Both art and spirituality express the human desire for transcendence, and the act of making art can be seen as an act of faith. But despite the many interconnections, modern art is rarely viewed through a transcendental lens. The San Francisco Museum of Modern Art and the Contemporary Jewish Museum have teamed up to change that with the opening of “Beyond Belief: 100 Years of the Spiritual in Modern Art.” On view from Friday, June 28 through Oct. 27 at the CJM, “Beyond Belief” examines the subtle and not-so-subtle spiritual dimensions of modern and contemporary art. Featuring some 60 works from 49 internationally recognized artists — from Mark Rothko to Ana Mendieta — the exhibition is a sweeping, multimedia survey spanning the years 1911 to 2011. 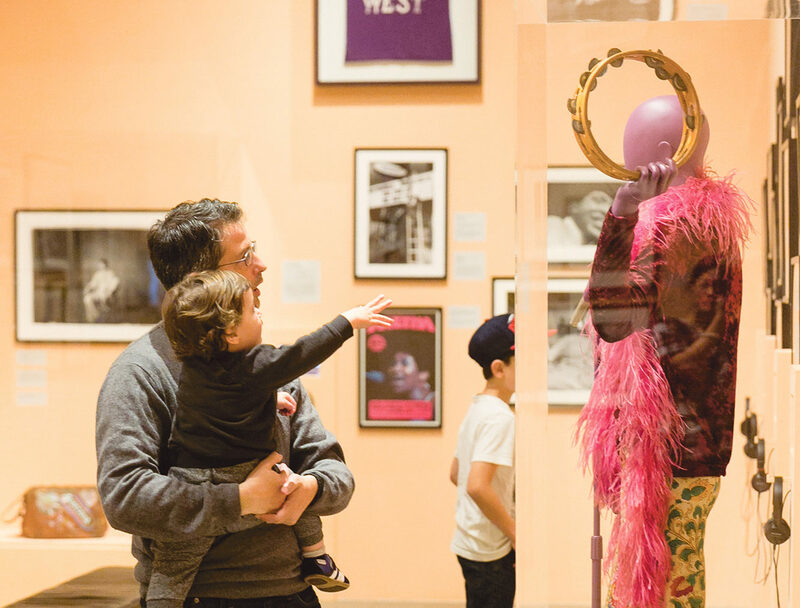 Culled from the collection of the SFMOMA, which is closed for renovations until 2016, “Beyond Belief” marks the first in a series of off-site collaborative exhibitions that the museum is planning until major renovations are complete. While the works are divided into 10 categories that reference Jewish theological concepts and liturgy — including the Genesis story and the bias against literal depictions of God — the exhibition takes a wider, more expansive view of spirituality. Works inspired by Buddhism, theosophy and Islam sit beside those inspired by Native American religion. “While there is certainly an emphasis on Judaism, there are other spiritualities, both Eastern and Western, represented,” said Caitlin Haskell, assistant curator of painting and sculpture at SFMOMA. 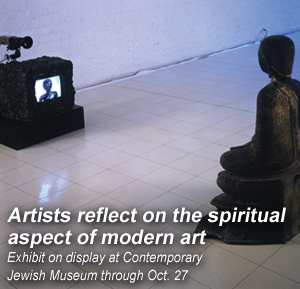 “TV Buddha” is one of seven works that did not fit into any of the 10 categories developed by Dan Schifrin, the CJM’s writer-in-residence. The majority of works are divided into sections with titles such as “Loss and Redemption” or “The World to Come.” Much like a midrash, Schifrin said, the questions the categories provoke are more important than the answers. Schifrin also developed the interactive online component of the exhibition, which, much like the iPads in the physical exhibition, presents the viewer with a series of simple questions. Short documentary-style videos are also on view, including one of the artist Helène Aylon, who was raised in an Orthodox Jewish home, discussing her process of creating “Bulging Spread, Central Break” (1979). That feminist-inspired work, which falls under the Genesis heading, was made by pouring linseed oil on paper adhered to plastic glass and breaking open the oil sac several months later in a public ceremony. 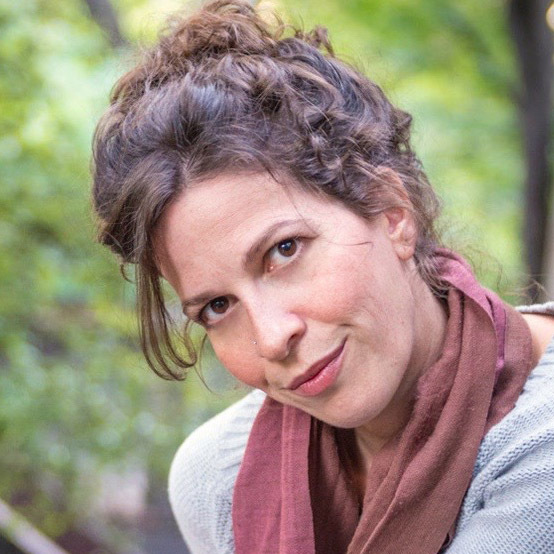 “I would invite people to the breakings, almost like a birthing,” Aylon said in the video. Some works have more explicit references to Judaism. Take, for example, abstract expressionist Barnett Newman’s massive steel sculpture, “Zim Zum” (1969), which references a kabbalistic notion of God contracting in order to create the universe. Or beat artist Wallace Berman’s “Untitled” (1974), in which a white stone is painted with black Hebrew letters. The letters form no actual words, and a black chain is coyly draped across the rock.